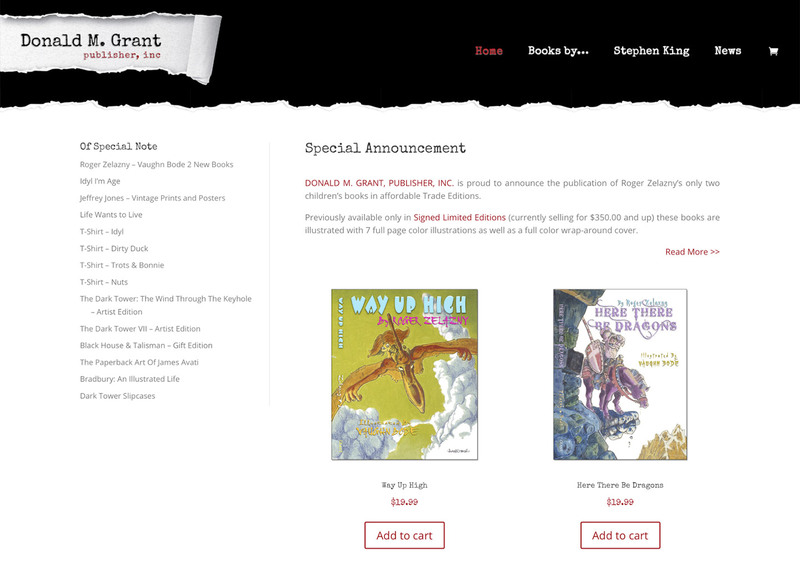 Donald Grant has been publishing books for over 45 years, including fine limited editions for authors like Stephen King. They had an early presence on the internet, but their website was still limited by the original development from the early 2000s. From the day of launch, we’ve seen the site convert sales on deep catalog as well as featured items because of the vast improvements in usability. And on the backend, we’ve given the client day-to-day tools to streamline order management. Automation puts sales and inventory reporting at the client’s fingertips. Keeping up to date with technology can be a challenge, especially for a small business with a high profile, but it is absolutely essential to success today. As a boutique web service with years of experience customizing WordPress and Wooocommerce, we can free you up to focus on your core business.